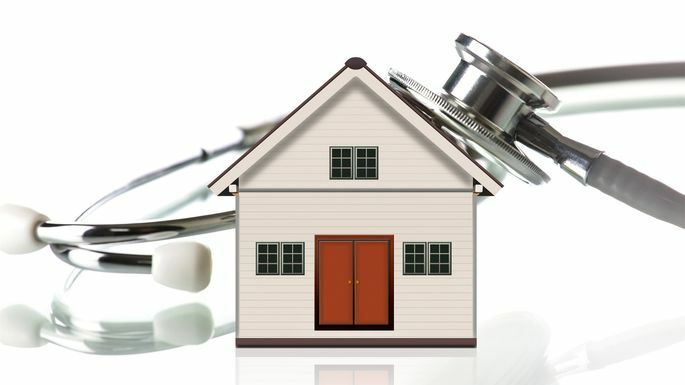 You can have a well maintained home while looking after your health. As a matter of fact, the two often go hand in hand. Here are some easy ways to ensure a healthy home this winter when your family starts spending a lot more time indoors. Open a Window. Indoor air can contain up to five times the pollutants of outdoor air. Obviously, scratch this idea if you’re consciously trying to protect against pollen. Dust and Vacuum. Dust is a leading source of chemicals in the home, including lead, pesticides, and more. Dust regularly and vacuum twice a week. Make sure to change the vacuum bag so that you’re not just spewing the same dust back into the air each time you clean. Wash Miscellaneous Fabrics. Drapes, shower curtains, and furniture covers often go overlooked. Wash these things seasonally to prevent allergen and mold buildup. While you’re at it, you’ll want to Febreeze fabrics that can’t be washed such as pillows, rugs, etc. Pot a Plant. First of all, this will make your indoor space look lovely. Second, most household plants help to neutralize chemicals found in paint, furniture, etc. Lysol Wipe Those Electronics. You’ve probably heard that your cell phone carries more germs than a toilet seat. Well the same can actually be said for a lot of handheld electronics. So around the house, make a point to disinfect phone chargers, tablets, remote controls, light switches, etc. Buy an Air Purifier. This might cost a small chunk of change ($40 and up, depending on the quality), but will make a drastic difference for dust and allergens. Filter Water. If your family gets their water out of the fridge or sink, make sure the filters are still good. Otherwise, just make a point to stay diligent in swapping out that Britta filter. This will eliminate a lot of the contaminants that seem small, but can still compromise your immune system. Use That Stovetop Fan. Simple cooking, even for a healthy meal, can still release pollutants into the air. Get them out of the house immediately by using your kitchen vent fans. Re-caulk Window Frames and Along Counters. A lot of pests sneak into the house in wintertime to avoid the cold. And a lot of those pests come bearing disease. Putting caulk along any holes or crevices in kitchens and bathrooms will work wonders to prevent this. Run Fan Longer than You Would Expect. Run the bathroom fan for at least twenty minutes after every shower. Sanitize Faucets. Sink and shower faucets build mildew fast. This is a problem because it’s where you get water to consume and to clean yourself. See how it becomes a vicious cycle if you don’t clean properly? Use Disinfecting Lotions. Most people keep moisturizing lotions by their kitchen or bathroom sinks. It’s easy to find lotions that also serve as sanitizer. Vacuum Your Bed. You read that right; about once a week vacuum your mattress. Also let the mattress air out each morning before you make your bed. Sanitize Doorknobs. Just like with the handheld electronics earlier, doorknobs collect germs fast without much thought. Move Office Equipment. Items like printers have chemicals that can upset your lungs. They’re harmless in limited timeframes, but probably not a good idea to sleep beside. Furthermore, glowing screens like your smart phone and computer and damage your sleep cycle, consequently damaging your immune system. Put Mats on Both Sides of Doorways. Up to 80 percent of the dirt that gets tracked inside—along with countless allergens, bacteria, and lawn chemicals—can be caught with a double length of washable matting before it makes itself at home. Use a Dehumidifier. This investment will make the most sense in spaces like the laundry room or basement, but can be extremely helpful even in spaces like the bathroom or kitchen. Clean Pets Every Time They Come Inside. Keep wet wipes by the door to clean paws, even if it’s not wet outside. Use a fine tooth comb to brush pets for fleas (or any other new friends) each time they come inside. Few pets will complain about the extra attention. Keep Pet Foods in Container. Using a large Tupperware as opposed to the paper bag pet food comes in will help keep vermin at bay. Install Vent Fans in Unused Spaces. Crawlspaces, attics, and even closets should have a vent fan to keep temperature and moisture down. These largely overlooked spaces are where mold and mildew most commonly grow, triggering allergies and asthma.